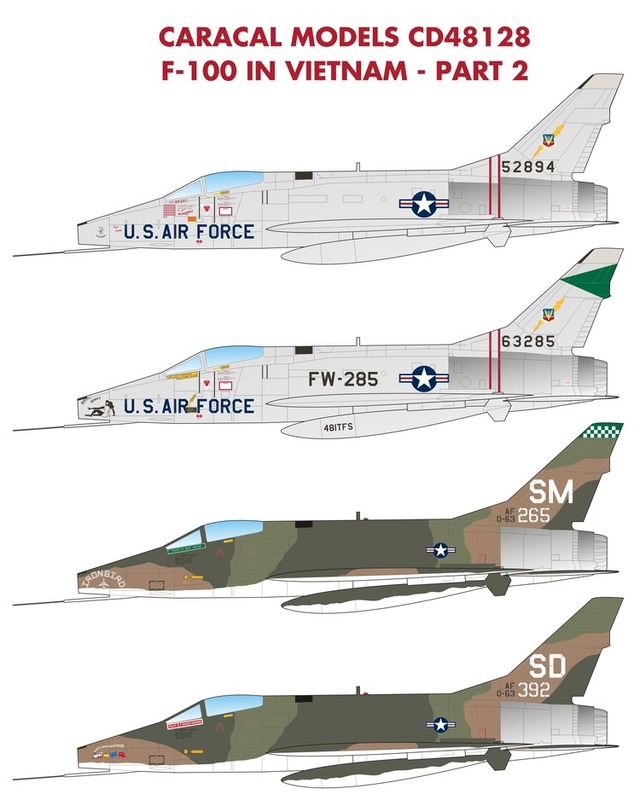 The second set in our best-selling "F-100 in Vietnam" series, this 1/48 scale sheet features markings for two early-war silver jets in addition to two camouflaged Huns. One of the aircraft featured is 55-2894, the aircraft flown by Capt. Don Kilgus when he claimed a probable MiG-17 kill! 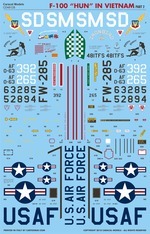 Complete with probably what is the most accurate early F-100 stencils, this sheet was designed to fit both Monogram and Trumpeter F-100D kits. Accurate stencilling and national insignia to build one camouflaged and one silver option are included. This sheet was professionally screen printed by Cartograf in Italy.